As things turned out, the Cockerels did mount a second half challenge, at times gathering enough momentum to challenge. However, this is where the Bombers showed their true grit and held the attacking Cockerels at bay with their own attacking. The Cockerels had clawed back to within five points at three-quarter time. But, by the end of the match, the Bordeaux Bombers had held on for an important 15-point victory against a quality team. 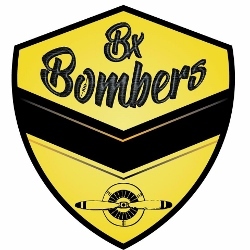 After a shaky start to the season, with little luck, the Bombers have now put themselves back into the mix for finals action next year. The Cockerels are good enough to absorb the loss, both statistically and professionally. But they also learned a valuable lesson – on their day, any team can bring their “A” game and cause an upset.